From Everythangs Corrupt, out now on Lench Mob/Interscope. Back in the day I bought a used copy of Short Dog’s In The House from my local record shop. Only when I got home did I realize it was the “clean” version. Which, on a Too Short album, is ridiculous. One of the songs, a duet with Ice Cube, was pretty much a solid beeeeeeeeep. This new song would only require a couple of beeps. Ain’t nothin’ but a word to Short Dog after all. 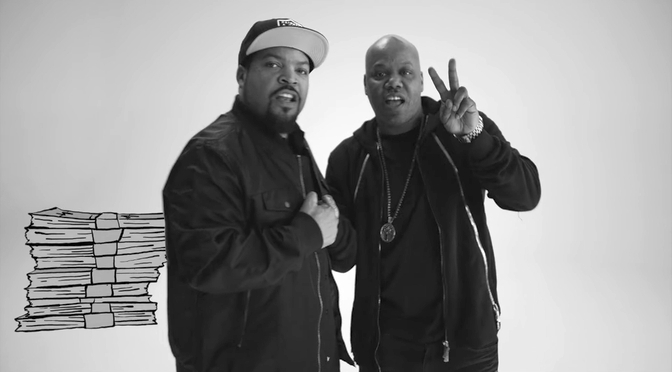 Ice Cube: web, twitter, amazon, apple, spotify, wiki. I ain’t watched the video or listened to the song yet. I’ma ’bout too, though. But I’m surprised that you (we) can (still) (never could) call that quote a gem.